The trucking industry is at the heart of the nation’s economy. Big-rig trucks make sure that retail goods get to store shelves just in time to meet consumer demands. The vehicles also transport building materials to support commercial and residential construction projects. According to a Federal Highway Administration report, over 30 percent of U.S. roads are in average to poor condition. The operation of heavy trucks on state roads and highways is thought by experts to be the leading cause of substandard roads. Poorly maintained roads impair the quality of life for residents and business owners. State transportation departments must budget carefully for costly road maintenance efforts. Trucks that drive across highways more frequently and carrying more weight cause roads to fall into disrepair sooner than expected. These uncertainties hamper budget planning processes. Road safety should be a high priority with both trucking companies and regulatory government agencies. Trucks that are overloaded or wrongly loaded are the main causes of trucking accidents. The Cross Weigh in Motion (WIM) system identifies and helps to reduce instances of overweight and improperly loaded trucks. 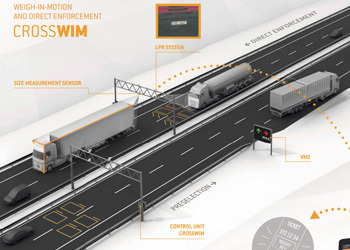 The sensor-based system is so efficient that some trucking fleets become self-regulating. Since CrossWIM has a high degree of accuracy, fleet operators know that overweight trucks will be detected and fined according state laws. Compliant trucks no longer must stop for weigh-ins. Roads and highways that last longer save tax payers money. Vehicle data collected through the CrossWIM system supports sound decision-making for new transportation tax laws and other rules. Analysts also use the data to refine road maintenance budget requests and spend plans. The CrossWIM system has customizable configurations that are designed to meet clients’ unique needs. 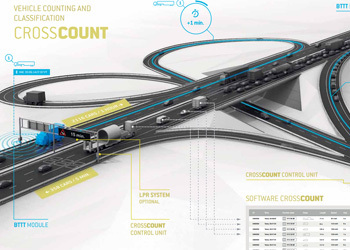 The standard CrossWIM design includes two inductive loops and four quartz sensors per lane. The system’s full-featured design incorporates two more piezo sensors per lane for greater functionality and accuracy. State transportation rules vary. CrossWIM’s modular design provides varying levels of precision that is needed by each regions’ transportation departments. The CrossWIM sensors can operate in layouts that measure speed, standard gross weight and weight per wheel. The CrossWIM system is powered by software that is compatible with off-the-shelf Microsoft products. 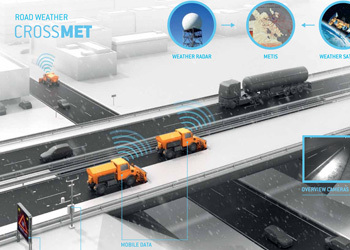 The system captures information about each passing truck. Weigh station operators can store, analyze and create reports through CrossWIM’s web-based interface. 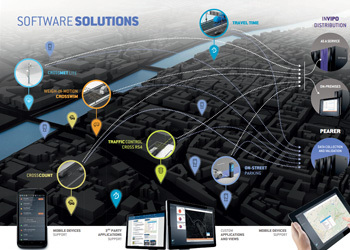 The CrossWIM system allows for numerous users to access Watchdesk, which is its main application. 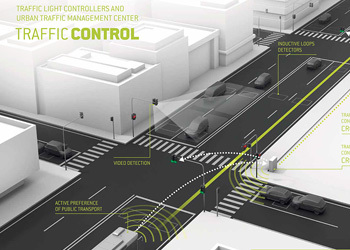 Weigh station managers get real-time alerts about truck traffic offenders. 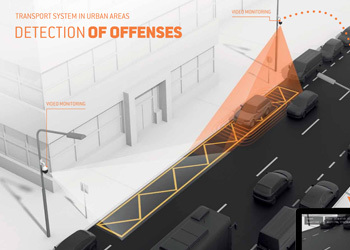 The system allows them to retrieve detailed information about the vehicle for further action. The CrossWIM system can also be set up for access by law enforcement officials. Available accessories such as license plate recognition systems and video cameras give highway patrol officers extra information that they need to investigate truck traffic violations. CrossWIM has customers throughout Europe, Asia and the Middle East. Most U.S. state laws prohibit automatic ticketing of truck traffic offenders. However, significant decreases in early road wear occurred in regions that used automatic ticketing or fines for overweight trucks.